This June, Cynthia and I will be married 64 years . . . but the oil of grace has not always flowed freely in our marriage. Early on, I found it easier to extend grace to a parishioner or to our church staff than to treat Cynthia with grace. The problem—and the solution—started many years ago, before we were even married. After one week of dating I asked Cynthia to marry me, and she said, “Yes!” Yet I was so insecure that jealousy consumed me. I drilled Cynthia with questions—petty, probing questions that were little more than veiled accusations. After three weeks, we had our first confrontation . . . and she let me know the engagement was O-V-E-R!!!! She refused to live like that for the rest of our lives. I realized she was right. I asked her to forgive me, and I asked God for grace to love her without fear. Since then, I haven’t had another jealous day. However, after we married, I began limiting her activities and friendships. I felt she could do anything she wanted . . . as long as the house was clean, children’s needs were met, shopping was done, bills were paid, and meals prepared on time. The tension built as she tried to please me at the cost of herself. It ended in one of those famous showdowns every married couple has had. Cynthia’s words hurt, but she was right to confront me. I was smothering her. I listened, took her seriously, and went to work on this ugly side of my life. I assured her I would never again treat her with such a lack of respect. I asked God for relief from this destructive habit and for the ability to love and give myself to her without all the choking conditions. I still had a ways to go and grow, but grace was awakening in my life! For the first time ever, it began freeing me in my marriage—first in small ways and eventually in major areas. As I reflect on those earlier days, I remember another difficult turning point. I used to tell people that Cynthia and I were “a team.” Then one day, she sat down with me and urged me to stop saying that because it simply wasn’t true. Again, I realized she was right. We did lack a “team spirit” in our relationship. As I began to analyze why, it became painfully clear that again one main ingredient was missing: grace. I decided to deal further with my longstanding habits of controlling, correcting, and criticizing her . . . and to start accepting her for who she is and admiring those qualities that first attracted me to her. What a difference that made! As I changed my attitude and altered my expectations, grace oiled our relationship magnificently. Cynthia’s creative gifts and organizational skills began to blossom. That was 40 years ago. 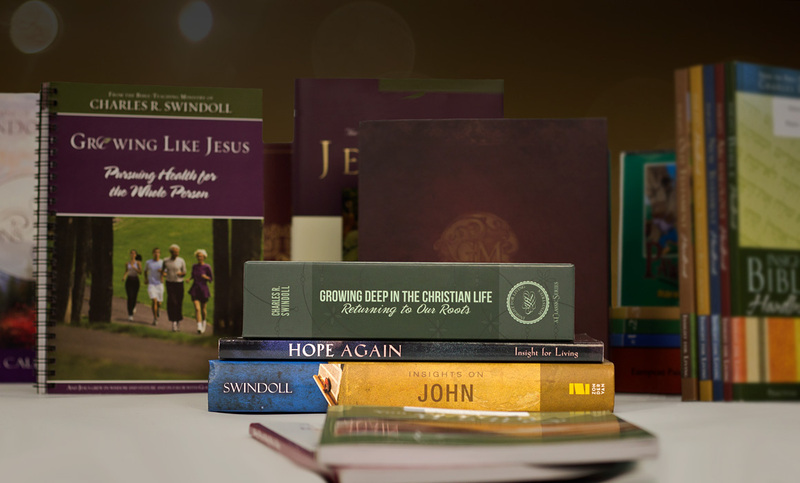 Soon after, we began Insight for Living Ministries. And guess what? Now other people often refer to us as “a team"! Grace made the difference! Grace erased my jealousy. Grace shifted my expectations and freed me from the impulse to control. Grace opened my eyes to see Cynthia as I never had before. I can testify to this truthfully: When grace awakens in a husband’s heart, he begins to care for the one God gave him in a new and deeper way. He becomes increasingly aware of his wife’s value, giftedness, and significance. The grace within him frees him to let her be the person God made her to be. The better acquainted I became with the grace of God, the less I concerned myself with authority in our home . . . the less threatened I felt. The more I relied on God’s grace, the more I chose to model servanthood, to affirm and to release my wife. For sure, the less I desired to dominate and control her. Grace loves and serves; it also gives and forgives, releases and affirms. Grace enlarges our capacity to love, so much so that we have no interest in keeping a record of wrongs. Grace gives room—room to grow and room to be, to discover, to develop. When there is this kind of grace-awakened love, the man loves his wife as he loves himself and the wife respects her husband . . . which is exactly as God planned it (Ephesians 5:33). I’ve said for years that my favorite place on earth is in our home with the one I love. I absolutely love being home! It is there that I find maximum security and acceptance, fulfillment and accountability, responsibility and harmony, genuine honesty and affectionate love. Why? Because Cynthia and I are finally a team—one that is fully committed to the same essential element that can make any marriage bloom: Grace! 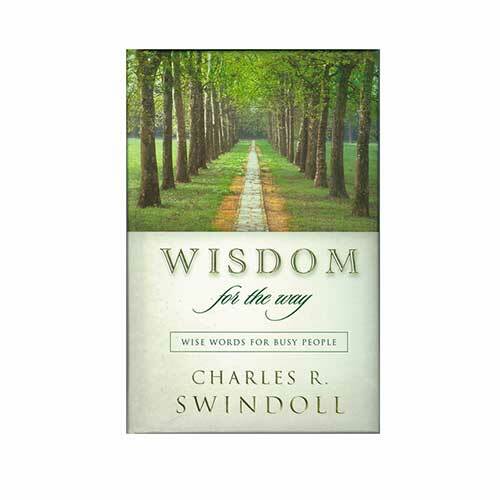 Copyright © 2019 by Charles R. Swindoll, Inc. All rights are reserved worldwide.